and powerful songs she teaches. Playing in open D (DADF#AD) provides rich, ringing sounds and open access to the full slide guitar experience. 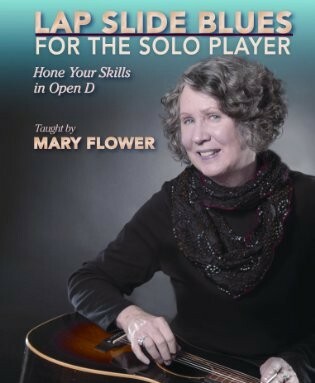 In each example, Mary illustrates the power of the slide blues sound and brings turnarounds, rhythms, chord progressions, fingerpicking patterns, bass lines and improvisations to the learning player.